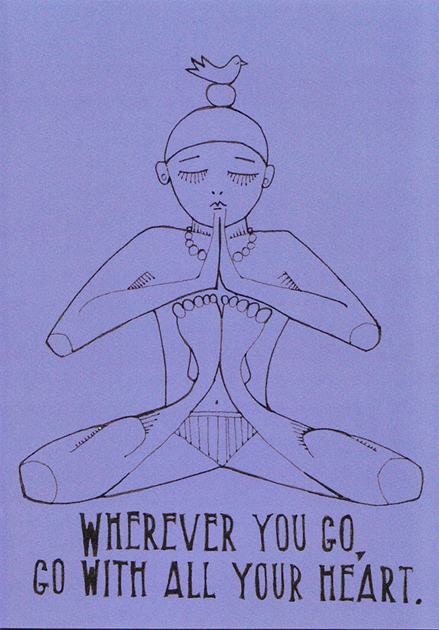 Bonjour, today I have for you a sneak preview of Yoga Will Save the World's greeting cards. They come in an assorted pack of three. Three different yogi men, three bright colours and three lovely quotes. The insides are blank. The cards are thick 350gsm, FSC (Forest Stewardship Council) credited paper.